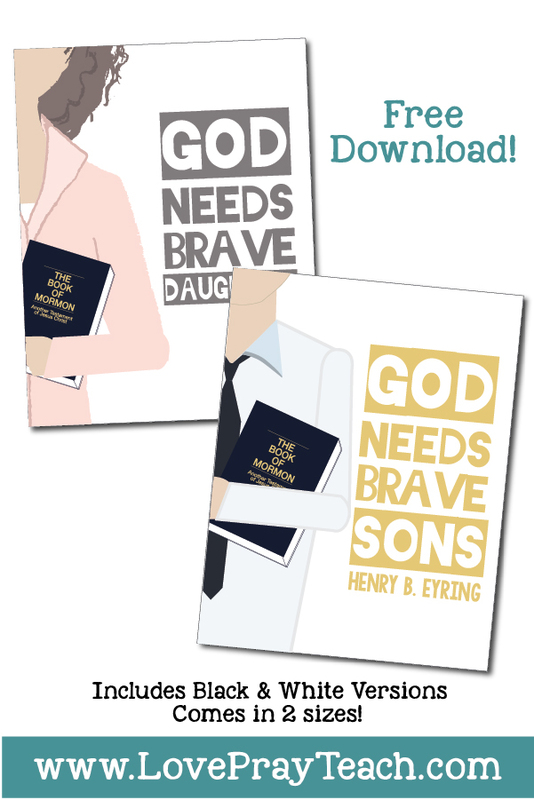 "God Needs Brave Sons and Daughters" Free Download! You are here: Home » Blog » "God Needs Brave Sons and Daughters" Free Download! We love this quote by President Eyring and think you will too! You can find his talk by clicking here. Hang these posters up in your son's and daughter's rooms to remind them that God needs them to be brave! We have included these in color and black and white! The 2 PDF sizes include 8.5"x11" and 2 smaller ones on a page that are about 4"x6" - perfect for a scripture glue-in or handout!